The IMAX version of the film will hit theaters this October. Terrence Malick’s latest film “Knight of Cups,” an experimental drama about a Hollywood screenwriter’s (Christian Bale) existential crisis through a world of delirious excess, had its theatrical release this past March. The film continues Malick’s recent creative resurgence; his last two features, “The Tree of Life” and “To The Wonder,” were released this decade after a pattern of long periods of silence between films. Now, his next film will hit theaters this fall, only it will be released in IMAX instead. READ MORE: Will Terrence Malick’s ‘Voyage of Time’ Really Come Out This Fall? 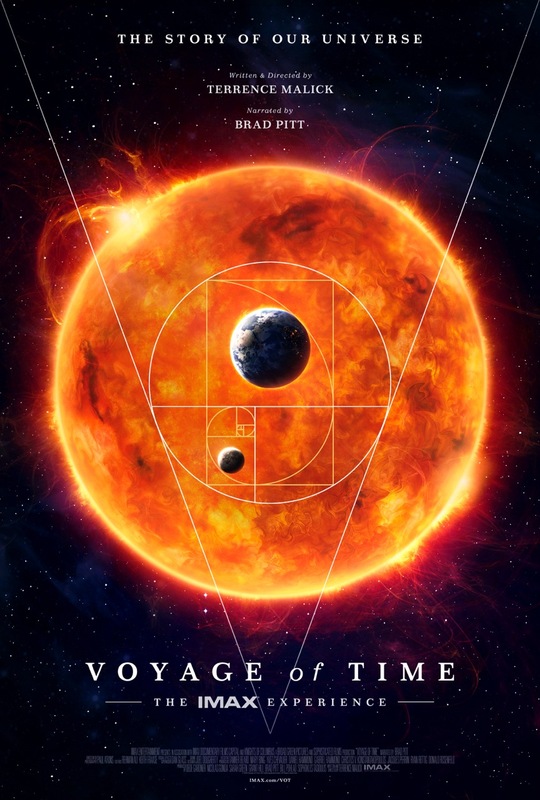 “Voyage of Time: The IMAX Experience” tells the grand history of the cosmos, taking the audience on a personal journey through the universe itself, from the Big Bang to the Mesozoic Era to our present and beyond. Nearly four decades in the making, “Voyage of Time” will feature a panorama of powerful images will allow viewers to bear witness to some of the most important events of all time — the birth of the stars, the initial development of human life, and much, much more. The film is Malick’s first foray into documentary filmmaking and represents a unique cosmic experience that draws from many elements of Malick’s long, celebrated career. The film will be released in two formats. “Voyage of Time: The IMAX Experience” is a 40-minute big screen adventure narrated by Brad Pitt and will be released exclusively in IMAX theaters on October 7th. Another version of the film “Voyage of Time: Life’s Journey,” a 90-minute cut narrated by Cate Blanchett, will take audiences on a poetic journey through a world of open questions; no release date has yet been set for that film. See an exclusive poster for the film below.